LOCATION The property sits within the new development of Wickhurst Green, which was designed to echo a traditional English village with a network of streets for good connectivity by foot to areas of green open space with tree and planting creating an idyllic landscape. Wickhurst Green forms part of the already established Broadbridge Heath, which benefits from a local primary school, as well as other facilities including a convenience store, the Shelley Arms pub, a hairdressers and the Broadbridge Heath Sports centre. The convenient location also offers easy access to Tanbridge House School, and both the A264 and Junction 11 of the M23, while the larger town of Horsham boasts a variety of markets and restaurants as well as a busy mainline station with regular services to London Bridge and London Victoria. PROPERTY The entrance hall of this spacious and versatile family home leads to the large open plan kitchen/dining room with double doors opening on to the garden. The first floor has a large reception room with Juliette balcony, some properties in the development have used this as a further bedroom. There is also a small single bedroom or study in addition to a family bathroom. 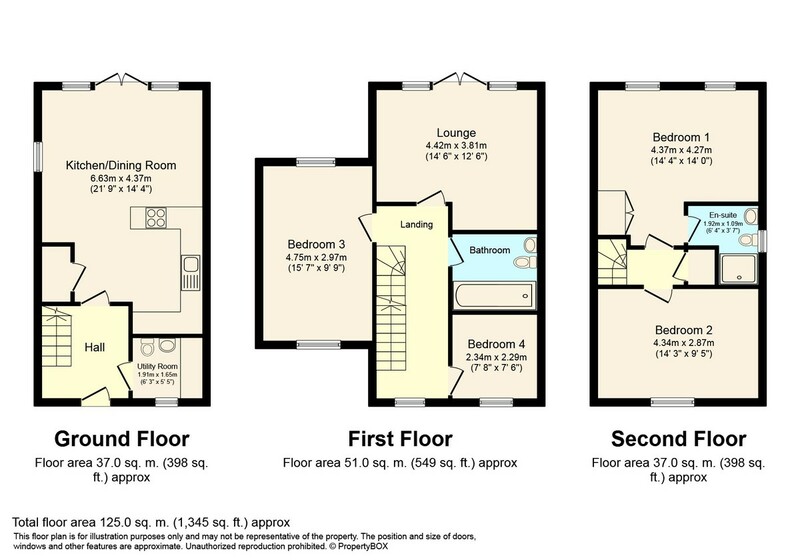 To the second floor are two further double bedrooms, one with an en suite shower room. OUTSIDE The rear garden is mainly laid to lawn with wood panel fencing enclosing it. There is a side gate that leads to the garage and car port.